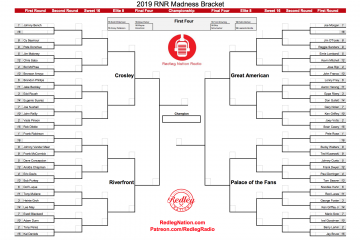 Podcast: RNR #139: It’s time for some radical changes! Joel Luckhaupt (author of “100 Things Reds Fans Should Know & Do Before They Die” and “The Wire to Wire Reds”) and I got together again to talk about the Cincinnati Reds. Specifically, we proposed some radical solutions to the problems facing the Redlegs and made some predictions for the second half. Also: we talked about Pokemon Go. You can go here to download or stream the podcast. 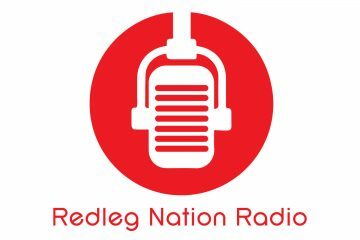 For links to all previous episodes of Redleg Nation Radio, check out the podcast’s home page. You can subscribe to the podcast via iTunes or whatever podcast device you use. Subscribe to the podcast, and give us a rating/review over at iTunes. If you like us, tell your friends! I liked both Joel and Chad’s “radical” change ideas. Especially in regard to Chad’s, it time and then some to quit talking rebuild and get on with it; and don’t stop at part of the way. Even if Cozart isn’t traded, he should be sat down alongside Phillips so they can get a look at Chad’s suggested 2B/SS combo of Suarez and Peraza working side by side. To the negative side, I would have preferred a bit more focus in the podcast format. There was a lot of chattiness that really said very little from the onset that almost wore me out before the radical change part finally came along in the last 10, minutes or so. It turned out to be well worth the wait; but, if I were still a working guy versus being retired, I don’t know that I would have had the time and patience to sit through the prelude or to have punched my way through the file to find the part I really wanted to hear…..